The Rock Roadhouse at North Arm Cove on the Pacific Highway on fire. IT BEGAN with such high hopes. A place of happiness - complete with amusement park rides, a playground and a roadhouse. Perhaps the most famous feature of all was the 1/40th-scale replica of Australia's most iconic rock. 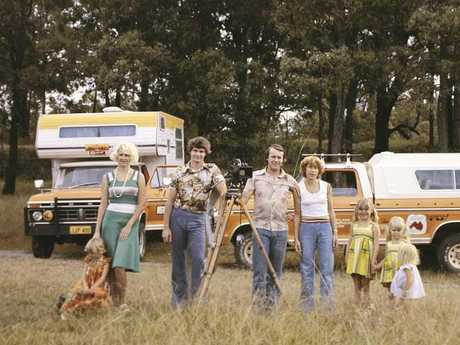 Opened in the 1990s by documentary filmmakers and explorers Mike and Mal Leyland, Leyland Brothers World was kitschy but eye-catching and over the years became a popular pit stop for travellers on the Pacific Highway near the Tea Gardens on the NSW Central Coast. 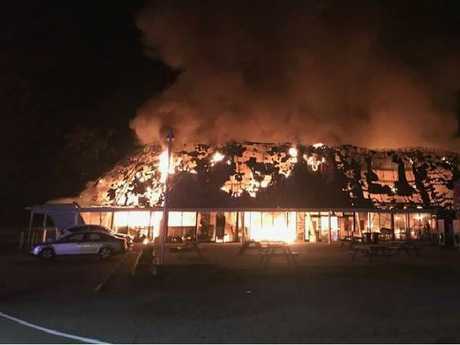 However, the attraction, which had been renamed the Rock Roadhouse, met its fiery end overnight, saddening the nation. But it had quite the troubled history, which saw the television legends torn apart. And bankrupted. The duo's "disastrous" decision to venture into the tourism industry resulted in them losing more than $6 million, before it was sold for a song at an auction in 1992. 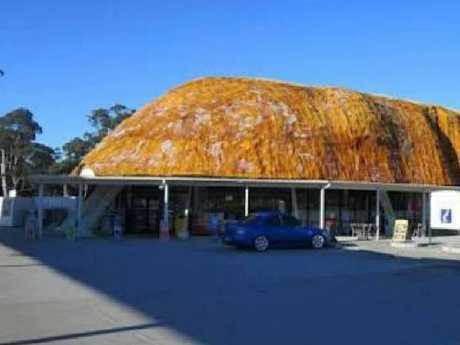 The site was bought again in 2009 and became the Great Aussie Bush Camp which attracts thousands of children a year. The only remaining memory of the theme park was the replica rock. Mal previously told Australian Story of the loss. 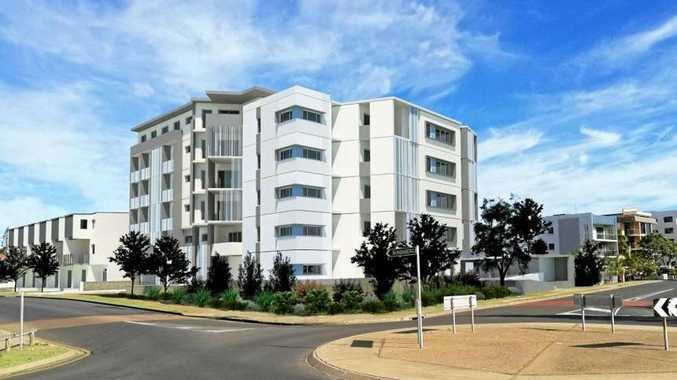 "The receivers came in and took possession of the whole lot. "In hindsight, Leyland Brothers World was a huge mistake, the biggest mistake we ever made." He said of the rift with Mike, who passed away in 2009: "The partnership that Mike and I had for 29 years was crumbling before my eyes and I knew would never be the same again." The big rock pictured before. 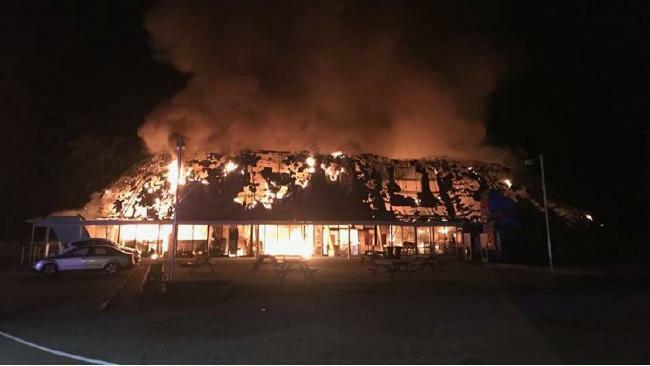 Eighteen fire crews raced to the property at 7pm last night, managing to keep the blaze from reaching fuel tanks at a nearby service station, but within three hours the landmark had been reduced to a shell. 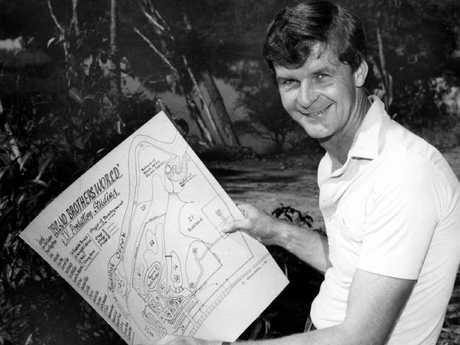 Mal Leyland with the theme park plans. "The structure is completely alight and crews are protecting fuel storage facilities on site," a spokesperson said shortly after 8pm. "There have been no reported injuries." A large crime scene has been established at the site with investigators expected to spend the day working to determine the cause of the blaze, police said. 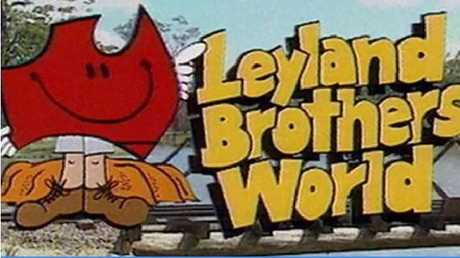 An old commercial for Leyland Brothers World. Tributes have poured in on social media. "Terrible news. Of all the s***house roadside stops, this was one of the best," Peter Barrytown shared on Facebook, while Nathan Boyd said, "There goes our next roadtrip." The Rock Roadhouse at North Arm Cove.